Even in secular surroundings, there is an often quoted verse from Jesus that we call the 'golden rule'... Do unto others as you would like others to do unto you. Even the world recognizes that this is a universal principle. Mercy works the same way. 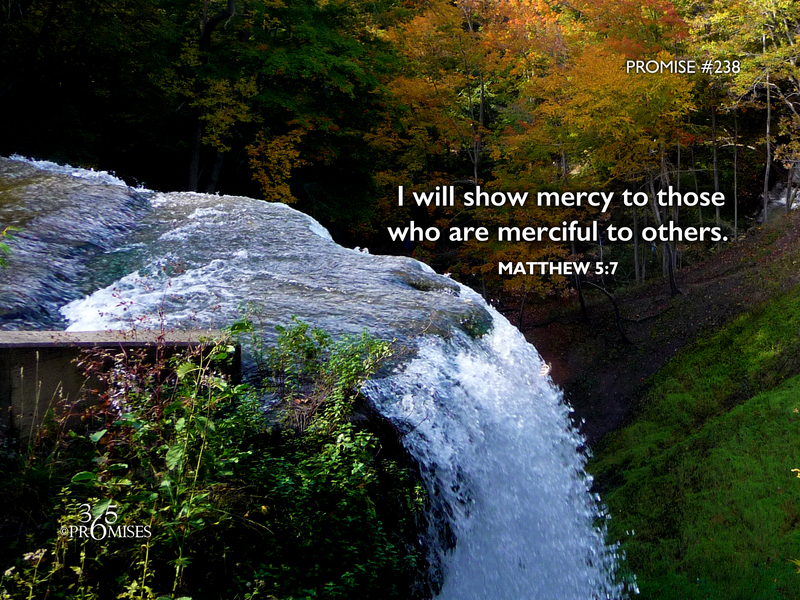 There is a promise for mercy for those who are merciful to others. It is that simple. How much mercy do I need in my life? Do I need just a little, or a lot? And of course my answer is always... "I need as much mercy as I can get!" The way that I can walk in mercy (for myself) every day is by simply extending mercy to those around me. The person who cuts me off when I am driving, the miserable store clerk, the friend who might have offended me in some way. If I forget that I need mercy myself, I may forget that I need to extend mercy to others. Think of the areas that you need mercy in your own life. For your shortcomings, for your failures, etc. Do you want mercy to cover every area where you fall short? Then shower mercy on others on every occasion because mercy is receiving something we don't deserve. We know that God's love for us is unconditional and we can't do anything to earn or deserve it. However, there is a principle in God's kingdom that is at work every time we sow something...because what we sow, we will eventually reap. I know that I need mercy today, so I pray that I will have the wisdom to sow mercy wherever I go!